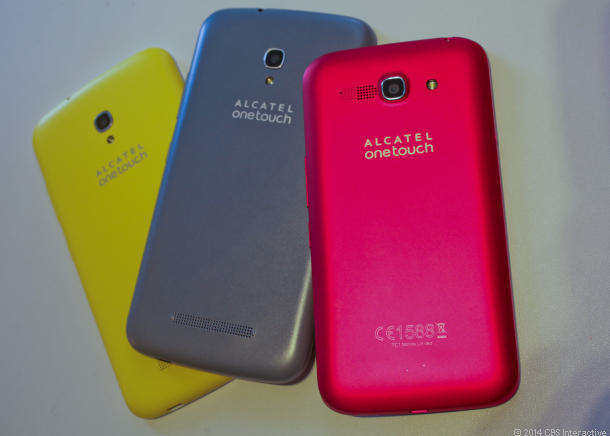 Alcatel Pop S line introduces a trio of low cost handsets as the series aims to push for LTE adoption in the market. Pop S7, S9, and S3 are expected in the market by Q2/2014. The prices for the S7 and S9 are $260 and $300 respectively, no price has been supplied for the S3 yet. The Pop S7 embeds MediaTek’s quad-core MT6290 – a multimode LTE modem. The chip supports LTE Release 9 CAT 4, with downlinks of up to 150Mbit/s. The chip is compatible with FDD and TDD modes, and other radio technologies – HSPA+, W-CDMA, TD-SCDMA, EDGE and GSM/GPRS. Other S7 features are a 5″ IPS display, NFC, Bluetooth 4.0, 5MP rear camera, microSD, Android 4.4 and 3,000mAh battery. The device runs at processing speeds of 1.3 GHz. It should hit shelves in the European and Asian markets first. “The POP S7 is the first entry-level LTE-enabled smartphone powered by MediaTek’s innovative technology, and we’re rolling out across EMEA, APAC and other regions. We foresee a huge increase in LTE adoption worldwide in 2014, and we are pleased to working in close collaboration with MediaTek to meet the market demand at the right time.” – Dan Dery, CMO of ALCATEL ONETOUCH. The S9 features includes a 3,400mAh battery, quad-core 1.2GHz Qualcomm 8926 processor, 8MP rear camera, 2MP front-facing camera, NFC, Bluetooth 4.0, Android 4.3 and 8GB memory – can be expanded through microSD slot which supports upto 32GB. The device has a 6″ screen with a resolution of 720pixels. Europe and Asia will be the first to get this phone in March, its expected in the US by the Q2/2014. Pop S3 doesn’t have the powerful specs seen in S7 and S9 at 4″ WVGA display, 1.2GHz quad-core processor, Android 4.3 and 2,000mAh battery. Other features include LTE, NFC, Bluetooth 4.0, 5MP rear camera, VGA front-facing camera, 4GB internal memory and microSD with support for upto 32GB. Should reach Europe by May.